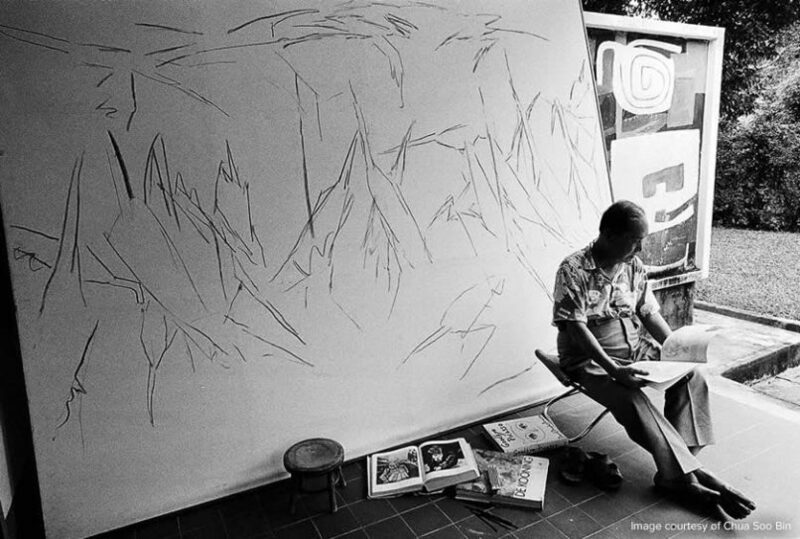 Why is Chen Wen Hsi one of Singapore's most renowned artists? The design behind Singapore’s $50 banknote is a familiar one. It’s a painting depicting a troupe of red gibbons specially dedicated to the country’s arts and culture. What’s unfamiliar though, is who that work is by. 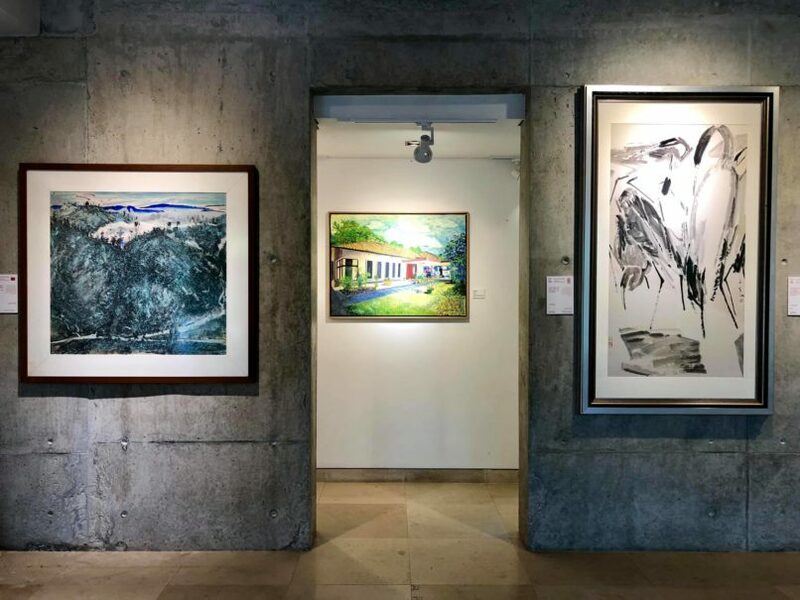 Now, thanks to a fortuitous turn of events, Singaporeans will have the chance to discover the man behind the paintings: Chen Wen Hsi whose painting has graced the back of the bill since its debut in 1999. 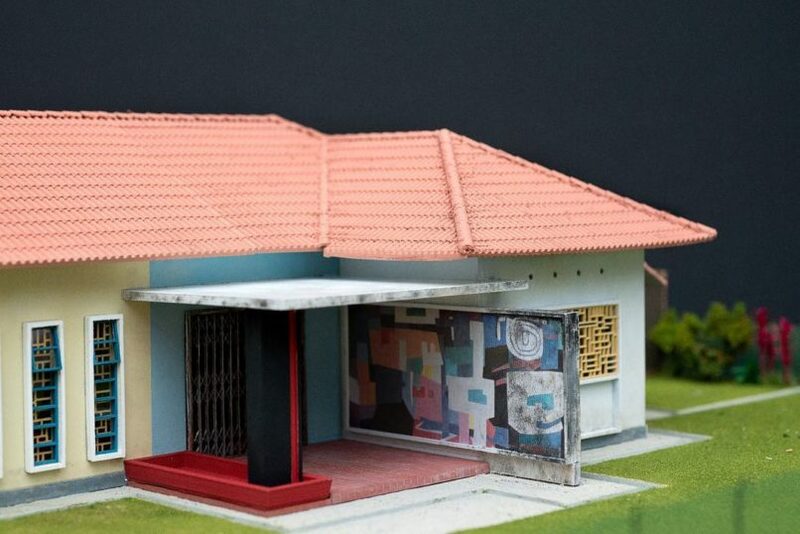 For the first time in decades, the private residence of the late Singaporean artist is opened to the public before it is taken over by a new owner. The Kingsmead Road bungalow will also host Homecoming: Chen Wen Hsi, an exhibition of his works gathered from the private collections of Johnny Quek, director of Merlin Gallery. 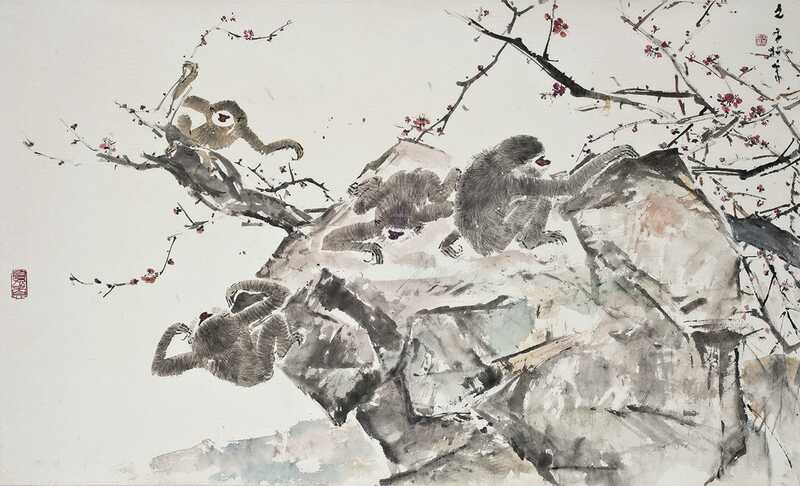 Paintings in the exhibition feature Chen’s popular subjects such as gibbons and herons. It is also an opportunity to see a lesser known side of Chen’s oeuvre, such as his abstract murals that decorate the walls of his home. Still, the $15 million dollar property is more than just the Nanyang painter’s former abode. It was where he created and found inspiration for his famous works from the late 1950s till his death in 1991. For admirers and art collectors, this open-house/exhibition provides rare, personal insight to the man behind the gibbons. For Singaporeans, there’s no better opportunity to get familiar with a gargantuan figure in the country’s unique art history. Chen Wen Hsi was from Guandong, China, born in 1906. Despite objections from family members, a 22-year-old Chen decided to study fine art in Shanghai under the tutelage of China’s renowned artists. Then, he would also become acquainted with Chen Chong Swee and Liu Kang — artists whom he would encounter again in Singapore. After making several solo exhibitions around China and Southeast Asia, Chen made a name for himself as a proficient Chinese ink painter. But Chen’s decision to stay in Singapore was circumstantial. 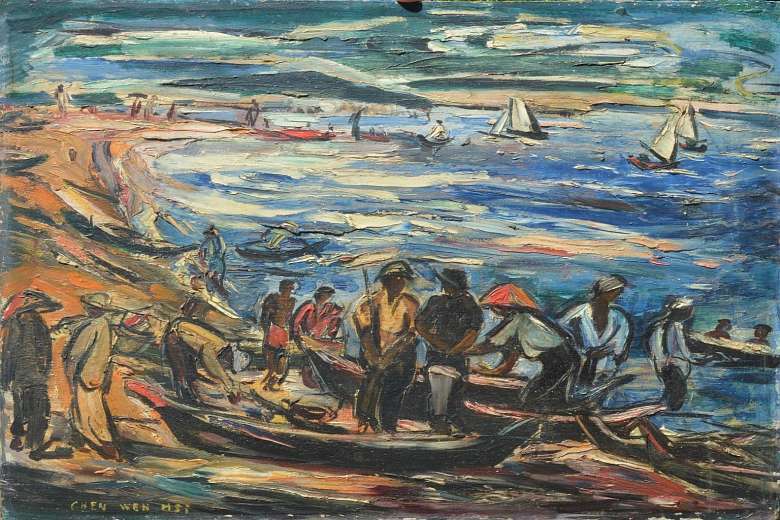 Initially planning to stay in the island state for only three months, he was convinced to stay on by fellow Chinese artists for even longer after his VISA expired in 1948. While teaching at The Chinese High School and Nanyang Academy of Fine Arts, Chen was enthralled by the culture and tropics of Southeast Asia and began to explore these landscapes in his work. 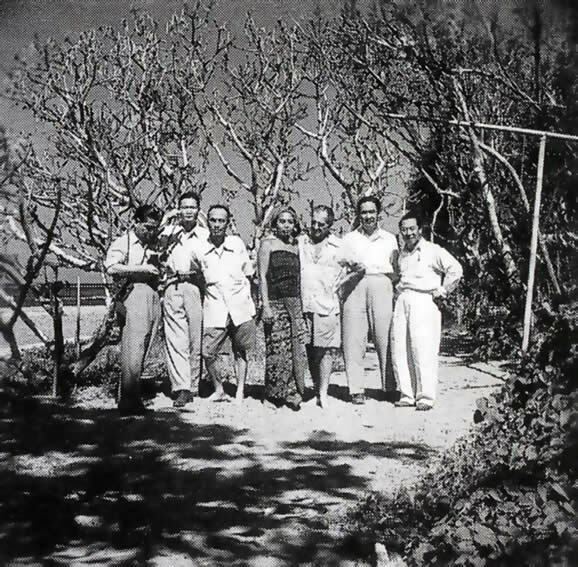 It was this curiosity along with a 1952 trip to Bali with artists Chen Chong Swee, Liu Kang and Cheong Soo Pieng that led to a transformation in his artistic styles. Chen began experimenting with oil paints and started mixing Western and traditional Chinese aesthetics on canvas. Realism evolved into Cubist-style abstract paintings with vibrant colours and strokes. His fellow travellers, inspired by the trip, started their own inquiries into merging different art styles. While these were varied styles unique to each individual, the common thread of more Western-influenced art bound the four artists together. Thus was born the Nanyang Style art movement, dubbed so by art historians Redza Piyadasa and T.K. Sabapathy in 1979. Chen Wen Hsi’s brand of Nanyang art is thoroughly distinctive in that there’s a purposeful blend of detail in his traditional Chinese artistic paintings. 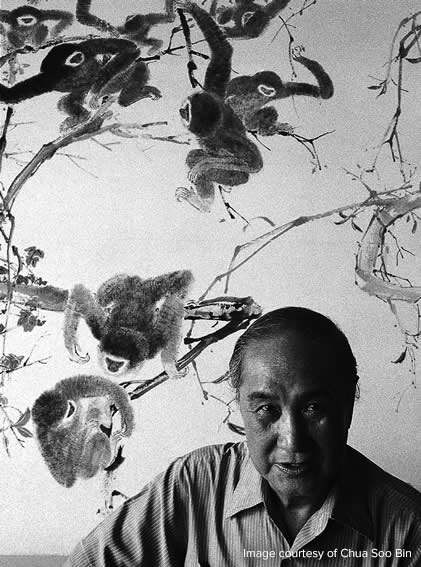 While Chen had done a multitude of abstract pieces, his ink paintings of animals were often ranked as his best and most valuable works.With sharp eyes and masterful painting skills, Chen was able to capture an unparalleled level of liveliness possible in two-dimensional works. Cranes, ducks and fish were some of his favourite subjects. Yet none of these would quite compare to his famous gibbons. The creatures are depicted in a variety of movements with nimble limbs and a coat of fine fur, playfully manoeuvring across tree branches and vines. These realistic depictions were largely attributed to the pets Chen had kept in his Kingsmead Road bungalow since the late 1940s. 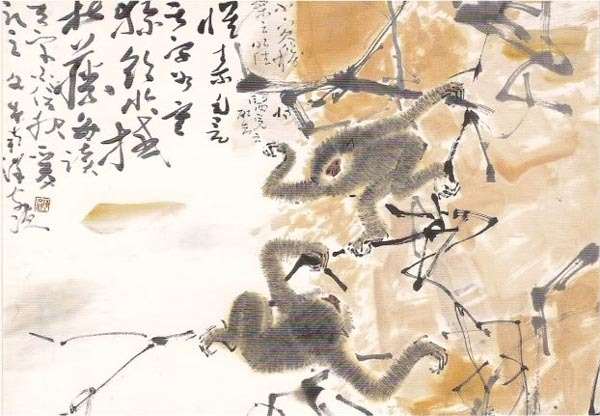 In his menagerie, Chen had six gibbons which he reared in his garden and observed every day. These lively works are held up as some of his masterpieces, of which one — Two Gibbons Amidst Vines (undated) — is honoured in Singapore’s $50 banknote. 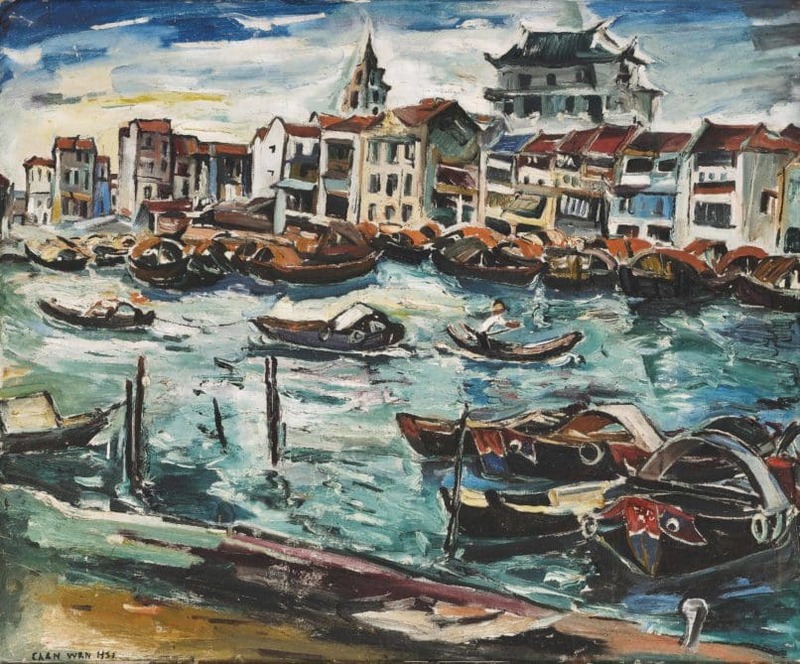 The former NAFA-lecturer painted over 10,000 works in his lifetime, many of which would end up as highlights in auctions. Works are hotly bid for by collectors and enthusiasts both, with prices averaging out to a few hundred thousand dollars. 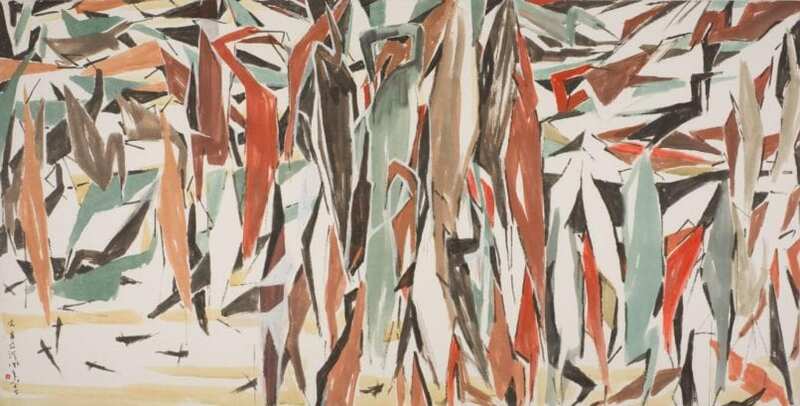 In 2013, Chen’s abstract work Pasar (Market) (1950) hit a record high of S$1.4 million in 2013 at a Hong Kong auction. The profitability of Chen’s works also festered a nasty bout of art forgeries that contaminated the auction markets — a situation that the artist had to face with even before his passing. It takes experienced eyes and close friends of Chen to authenticate works. The lack of a catalogue raisonné also makes stamping out potential forgeries a delicate, sensitive issue. In 2015, the National Gallery Singapore was faced with controversy when the authenticity of an oil painting, Net Drying, was put under scrutiny by art experts. The painting has since been removed from display. At least at Homecoming: Chen Wen Hsi, one can be assured that only genuine works will be showcased in Chen’s home. Works displayed are either bought directly from Chen or found within the confines of the Kingsmead Road bungalow. There’s really no better provenance than this. Thankfully, there are no shortages of local scholars determined to preserve and uphold the sanctity of Chen Wen Hsi’s works. If anything, this exhibition serves as a heartening reminder of the unsung heroes of Singapore’s art scene: it’s lesser known artists within the mass consciousness and the gallerists that continue to promote them. Homecoming: Chen Wen Hsi is now showing till 3 May 2019, 12pm – 7.30pm daily, at 5 Kingsmead Road.